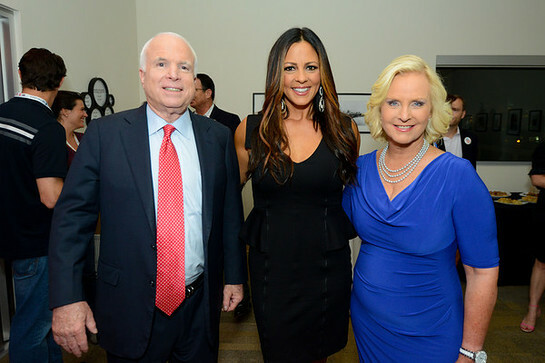 Sara Evans performed at a special event to benefit Got Your 6 in Tampa, Florida this week. Sara Evans performing onstage during the Got Your 6 and Lifetime TV event in Tampa, Florida during the RNC. The event was led by Meghan McCain, who was joined by her parents John and Cindy McCain.